In their new book, Duggan and Ukaegbu gather reflections on theatre companies old and new, extant and disbanded, physical, visual, political, touring, site-specific, diasporic, mainstream, radical and cross-arts. They aim to explore ‘the diversity of forms and praxis in the small-scale theatre terrain that is arguably, distinctively British’ (p.xxi). The text consists of interviews with representatives of Foco Novo, Tiata Fahodzi, Talawa and Tara Arts (all London), Tinderbox (Belfast), Volcano (Swansea), Grid Iron (Edinburgh), Lone Twin (Brighton), The Paper Birds and Red Ladder (both Leeds), and salamanda tandem (Nottingham). The editors note that ‘more than 100 companies’ (p.xvii) were whittled down to the final selection. It is perhaps inevitable that almost half are based in South-East England—on almost any metric from geography to funding levels, London exerts considerable influence, although surprisingly this factor is discussed only in passing. Despite rumblings from beyond the M25, not least as part of the current Scottish independence debate, London’s hegemonic status is not questioned as fully as it might be. This is not to say that the editors shy away from an examination of nationhood. Their nuanced introduction recognises the problematic nature of ‘Britishness’, and individual chapters critique conceptions of nations and belonging in light of power-shifts to Stormont, Senedd and Holyrood. As they note, ‘[the companies] are part of a wider cultural discourse that is multifarious, nebulous, fluid and always already in process [italics in original]’ (p.xiv). Nonetheless, a sense of tussling with nationhood perhaps emerges more strongly from the farther-flung companies than some of the more London-centric groups: Tinderbox founder Tim Loane notes of his early work that, ‘To us in those days, theatre meant English’ (p.31) while Volcano member Steve Fisher rejects explicit nationalisms: ‘We were not overtly “Welsh”, in fact more “Swansea” than anything’ (p.51). Politics of Britishness are less apparent in the chapters on Foco Novo or salamanda tandem, where issues of praxis or funding take centre stage. Most fruitfully, those sections dealing with black, Asian and minority ethnic companies achieve a merging of the two, reflecting on Britishness / otherness as a catalysing mode of practice springing from what Jatinder Verma calls ‘the margins of dominant discourse’ (p.129). It is here that the book’s subtitle, ‘politics, aesthetics and forms’, becomes most fully realised. The amount of detail provided is admirable. Texts examining regional UK theatre—by Roger Wooster (2007) and Anne-Marie Taylor (1997) for Wales, Randall Stevenson and Gavin Wallace (1996) for Scotland, or Tom Maguire (2006) for Northern Ireland—tend not to employ interview transcripts (Wooster excepted). By contrast, Reverberations… provides primary source material comparable to interview collections such as Maria Delgado and Paul Heritage (1996) on international directors or Gabriella Giannachi and Mary Luckhurst (1999) on UK directors. For scholars and students, the opportunity to delve into the first-hand reflections of key theatre-makers is immensely valuable. 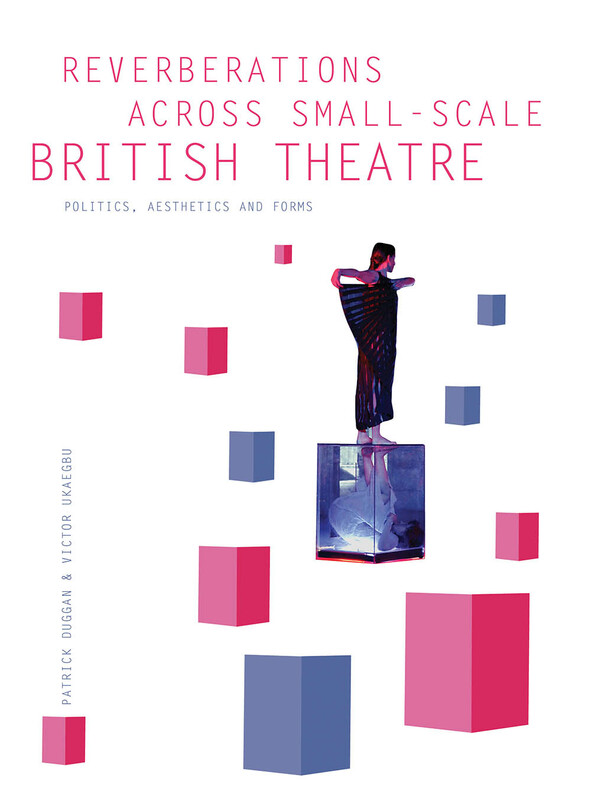 The material is too sprawling and heterogeneous to explore fully here, but for me, notable chapters include those on the exemplars of non-English UK theatre-making. Northern Irish company Tinderbox is discussed in Staging the UK (Harvie, 2005), with its focus on national identities, but David Grant’s chapter on the company explicitly privileges ‘the question of scale’ (p.21) rather than Britishness. In particular, Grant successfully teases out the subtleties of the small-scale: ‘the capacity to speak directly to a specialised audience, while retaining the potential to appeal to the world beyond’ (p.28). Gareth Somers takes on physical theatre group Volcano, noting the coloniser / colonised discourse prevalent in pre-devolution Wales. Anne-Marie Taylor (1997, p.97) has pointed out ‘the artistic (and also political) desire to create a specifically Welsh theatrical language, that would by-pass the English mainstream and establish kinship with culturally overshadowed countries’ and a sense of rejecting the establishment flavours the entire chapter, with Somers usefully framing Volcano as post-punk and most importantly, angry. Scottish readers may be drawn to Chapter 10, where Trish Reid interviews Grid Iron’s Ben Harrison. This stands out as one of the book’s strongest sections, combining a thorough detailing of the company’s history with nuanced analysis of contemporary cultural issues and the ‘renaissance in Scottish theatre’ (p.177). Harrison implicitly questions a ‘small scale’ definition of Grid Iron, preferring the currently fashionable figuration of ‘established’ versus ‘emerging’ companies, and contrasts ‘buildings’ with the famously peripatetic National Theatre of Scotland. The usefulness of taxonomies of scale as opposed to taxonomies of experience (or even of bricks and mortar versus a van) is questionable, and Reid points out how scale is perceptually dependent on surrounding ecology—big fish in small ponds. She also provides one of the first scholarly interrogations of 2012’s furore over Creative Scotland (see also Cloonan, 2013). Any reader will have their own list of companies they would include—why not Graeae or Gay Sweatshop? What about children’s theatre?—but the curatorial task is unenviable and the editors have presented an excellent survey which succeeds in ‘illuminat[ing] the importance of the contributions of small-scale theatres to the “bigger picture” of British social, political and cultural life’ (p.xiii). In particular, the decision to invite individual scholars to conduct each interview means that the collection reflects the sector’s diversity, rather than pursuing a single authorial thesis. This rich, fascinating text will hopefully inspire debate within the academy, and provide valuable insight into a wide range of companies as Britishness reaches a crossroads. Cloonan, M., 2013. Steering a review: some reflections on a gig. International Journal of Cultural Policy, 19(3), pp.318–332. http://dx.doi.org/10.1080/10286632.2013.788163. Delgado, M.M. and Heritage, P. (eds. ), 1996. In contact with the gods? : directors talk theatre. Manchester: Manchester University Press. Giannachi, G. and Luckhurst, M., 1999. On directing: interviews with directors. London: Faber and Faber. Harvie, J., 2005. Staging the UK. Manchester: Manchester University Press. Maguire, T., 2006. Making theatre in Northern Ireland: through and beyond the Troubles. Exeter: University of Exeter Press. Stevenson, R. and Wallace, G., 1996. Scottish theatre since the Seventies. Edinburgh: Edinburgh University Press. Taylor, A.-M. (Ed. ), 1997. Staging Wales: Welsh theatre 1979–1997. Cardiff: University of Wales Press. Wooster, R., 2007. Contemporary theatre in education. Bristol: Intellect Books. Ben Fletcher-Watson is currently studying for a PhD in drama at the Royal Conservatoire of Scotland and the University of St Andrews, supported by an ESRC CASE Studentship. His research examines contemporary Scottish practice in theatre for early years. He has published articles in journals including Youth Theatre Journal and Research in Drama Education, and is Co-editor of the Scottish Journal of Performance. His wider research interests include autism-friendly performance, theatre for foetuses and the history of pantomime. He serves on the Executive of the Theatre and Performance Research Association (TaPRA) and is an ASSITEJ Next Generation Artist.